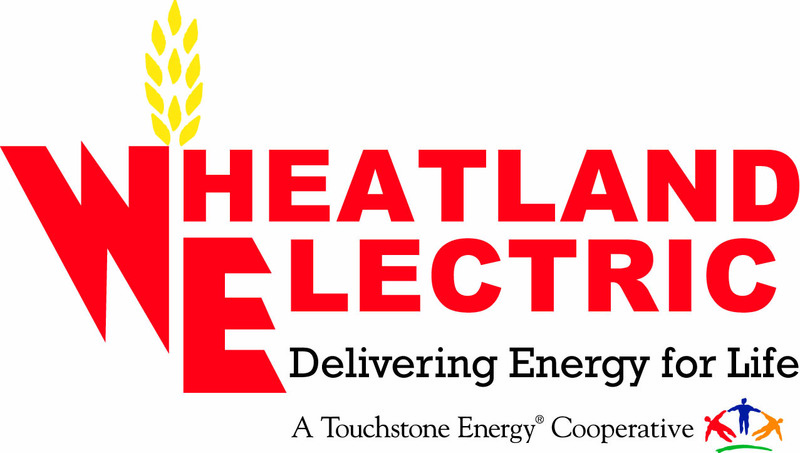 Wheatland Electric is proud to “Deliver Energy for Life” to more than 20,000 Kansas homes and businesses with a total of about 32,000 meters. We take our mission seriously because we know the electricity we deliver fuels those crucial fans in the grain bins after harvest time, keeps life-support equipment running for fragile older people, lights up athletic fields for our terrific school teams, and even powers night lights for children who are afraid of the dark. We care because we’re not just a company. We’re a Cooperative. We’re owned by the people we serve. Those people are spread out over 14 different Kansas counties and parts of 2 counties in Colorado. In May, 2014 our Kansas members voted for self-regulation, bringing control of Wheatland’s prices and projects back home where it belongs. It takes over 100,000 poles and more than 4,500 miles of power lines, spanning nearly 4,600 square miles, to distribute electricity to our members, and, as far as we’re concerned, the 4,499th mile is just as important as the first. 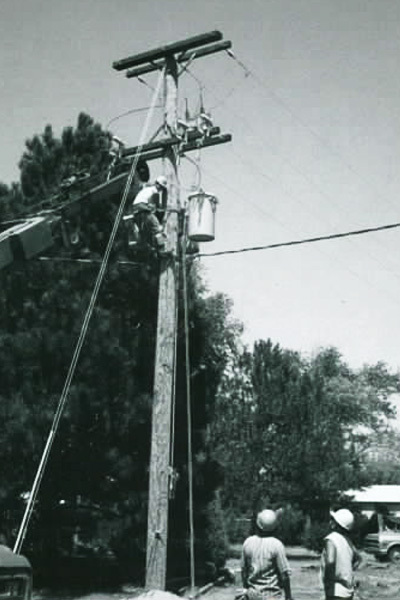 Speaking of the first, in 1948, nine visionary Western Kansas residents decided to take matters into their own hands and form an electric cooperative. They were tired of being left behind by the big for-profit power companies that didn’t want to spend the money to connect rural America to the grid. And so, Wheatland Electric Cooperative was born. Jess Taylor, Frank Crouch, Benarr Nelson, Kenneth Davis, Abram Buck, Joseph Ridder, Paul Johnson, Iman Wiatt and Richard Hobson were Wheatland’s founders and original members. In addition to learning all they could about electricity, they had to take out loans, set up offices and lay miles and miles of lines. In 1950, through their own grit and determination, they were ready to welcome an additional 2,246 members. Today that same up-by-the-bootstraps attitude lives on at Wheatland. When internet service providers failed to provide West Kansas residents with fast, reliable broadband service, we started our own —now serving more than 3,000 members. When Wheatland became aware that quality water was scarce in the Garden City area, it founded Wheatland Water to ensure a reliable supply. 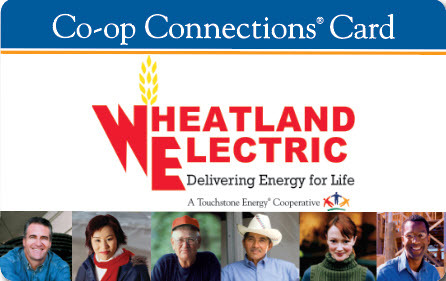 And after Great Bend, Harper, and the surrounding area residents suffered with poor service for years, Wheatland was one of the co-ops that stepped up to take over for the investor-owned power company there and restore reliable power. What will our next challenge be? It’s impossible to know, but we do know this: We’re a member cooperative and that’s powerful. So bring it on!